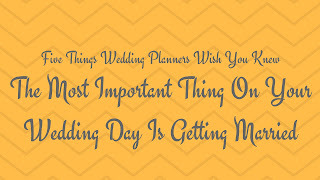 Planning a wedding is exciting! There's no denying that. 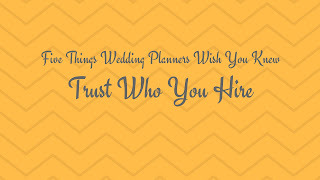 Hiring a wedding planner is one of the best things you can do for yourself. It's not practical for everyone, but for those who can, do it! 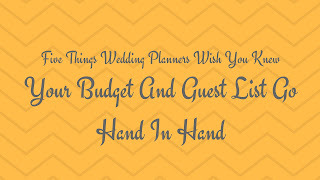 When you get a good one, you'll be less stressed if not stress free on your wedding day, he or she can help you make the best choices for your budget and the planner will make sure the wedding day flows as it should. 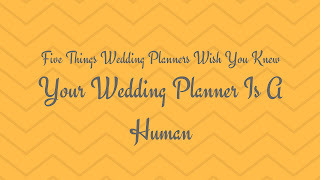 Sometimes the best intentioned brides and grooms make the planner's job difficult. 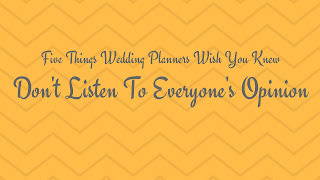 I interviewed Wedding Planner Elana Walker about five things she wants engaged couples to know. Number 1, Trust Who You Hire. "If you hire a professional, lean on that professional and their guidance and advice, and they will lead you to the promise land," says Walker. 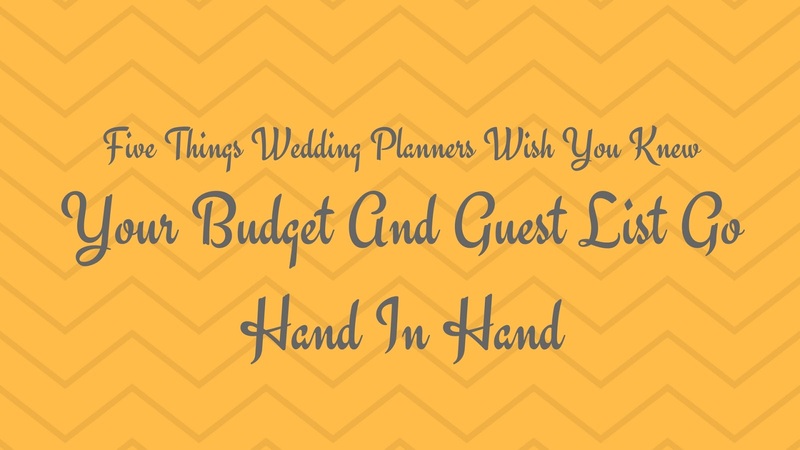 Number 2, Your Budget And Your Guest List Go Hand In Hand. 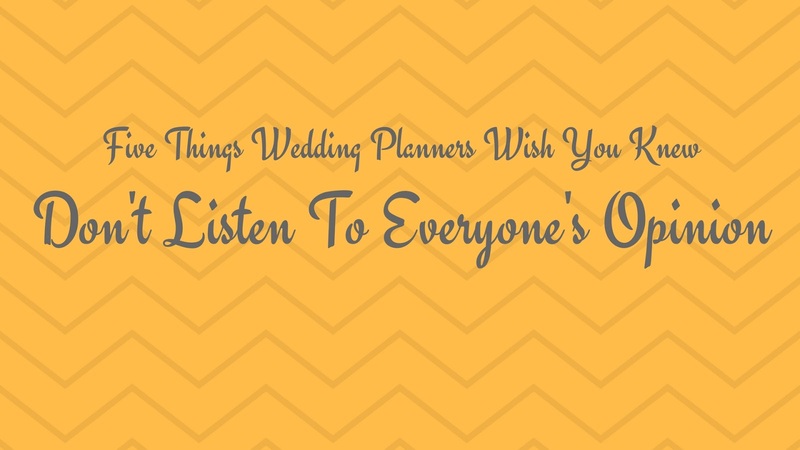 Elana says, "when you cut your guest list you're eliminating so many different elements, like the number of people you need to feed, the number of tables you need, the amount of cake you need." 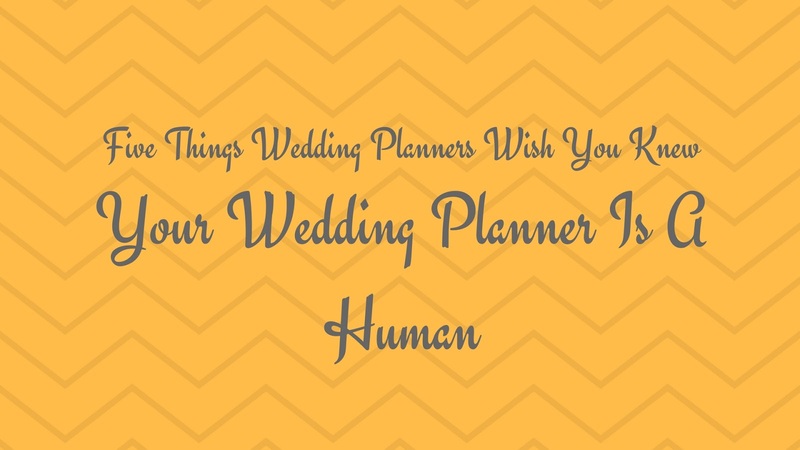 Number 3, Your Wedding Planner Is A Human. "We have families, we get tired, we get happy, we get sad and we want to be there for you as much as possible also but please understand we are humans as well." Number 4, The Most Important Thing On Your Wedding Day Is Getting Married. 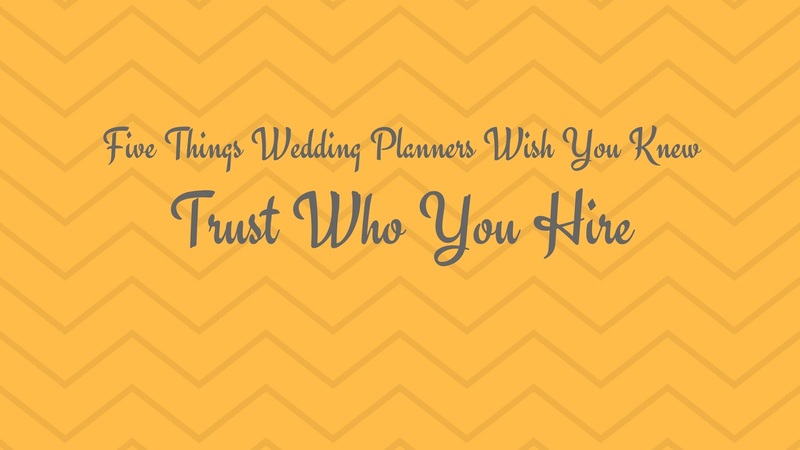 "Sometimes people put a little too much pressure on everything going perfect but if you hire the perfect wedding planner, you'll never know when anything has gone to the left." Number 5, Don't Listen To Everyone's Opinion. "This day is about you and your fiance', and everyone will have a ton of opinions." Elana goes on to say, "these are your memories until you don't remember anything anymore as opposed to your guests who will leave saying oh my God that was amazing but then they'll go on to the next wedding and the next wedding and won't remember the little details. Do it for you, not for them." Elana is the woman behind the Southern Noir Bridal Experience happening February 18th at the Raleigh Marriott City Center in Raleigh, NC. 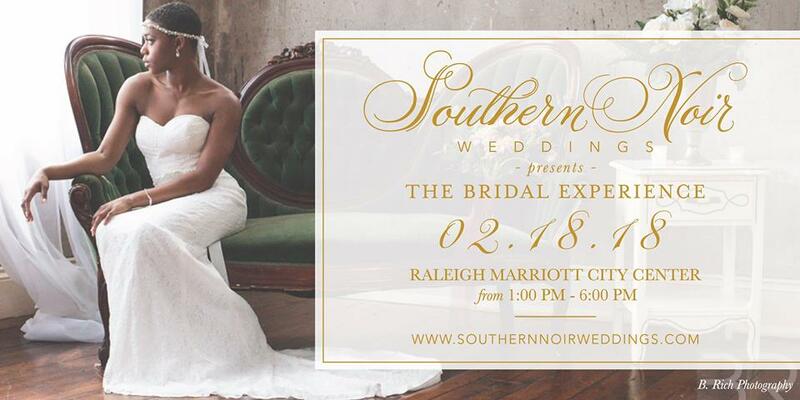 It's a wedding show curated for the southern bride of color. This show is designed to be an impactful experience to help brides and grooms plan the weddings of their dreams by introducing them to the top notch vendors in the area, educating them on the different aspects of wedding planning and providing a series of inspirations for their big day. 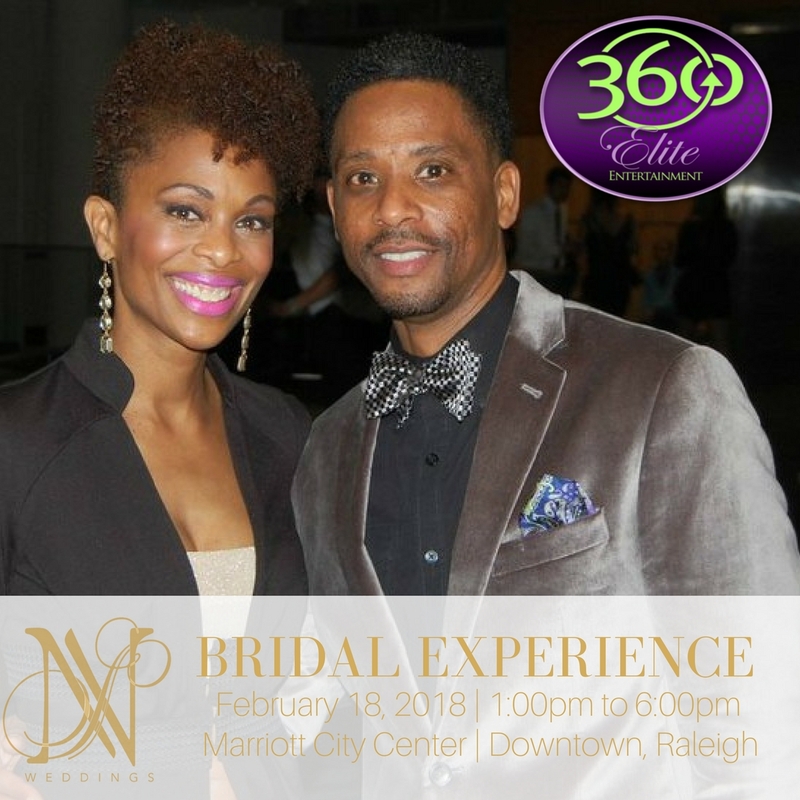 I'll be there along with my husband Randal "DJ 360" Calloway of 360 Elite Entertainment. Randal will provide the sound for the show and I will emcee. We'll also have a booth so that we can meet engaged couples. 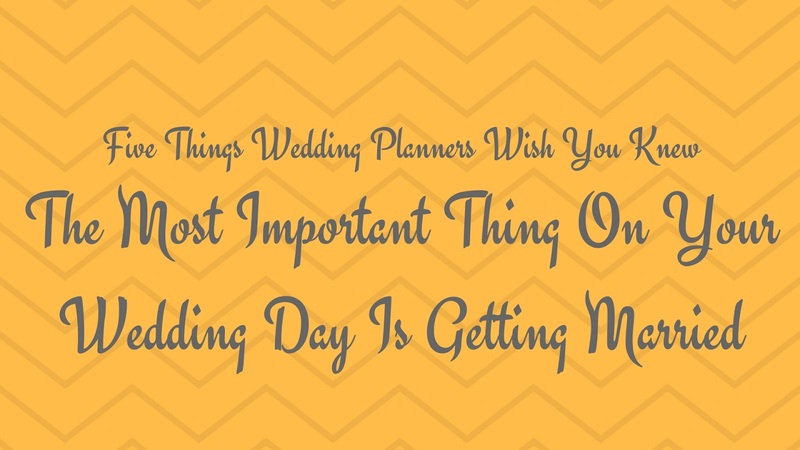 Are you engaged and going through the process of planning your wedding? I'd love to hear your thoughts and questions. Leave your comments and questions below for Elana and me.